The Tehran Museum of Contemporary Art is home to one of the world’s greatest collections of postwar Western artworks—but these pieces have rarely been seen by the public. Since Iran’s 1979 revolution, the museum locked its North American and European collections in a basement vault, where many of the works have stayed for decades. Now, as Aimee Dawson and Victoria Stapley-Brown report for the Art Newspaper, the museum is planning a major exhibition that will showcase its elusive artworks, including a number of major pieces that were recently re-discovered in the collections. “Portrait, Still-life, Landscape,” as the exhibition is titled, will be staged across the entire museum when it launches in February of next year. Up to 500 works from the museum’s 3000-strong collection will be on display, and the show will spotlight both Western and Middle Eastern art. Pieces by the likes of Andy Warhol, Marcel Duchamp, and Mark Rothko will be displayed alongside works by Iranian artists such as Bobak Etminani and Mahsa Karimizadeh. The exhibition was prompted, in part, by a number of stunning discoveries made during renovations of the museum’s storage facilities. Curators had previously known about two Picasso works in the museum’s possession, but an additional 10 “forgotten” Picassos were found during the renovation. According to the New Arab, these pieces will be among the long-hidden works going on display next year. A lost drawing by Marcel Duchamp was also found, and Visser tells Dawson and Stapley-Brown that he anticipates more discoveries will be made in the future. 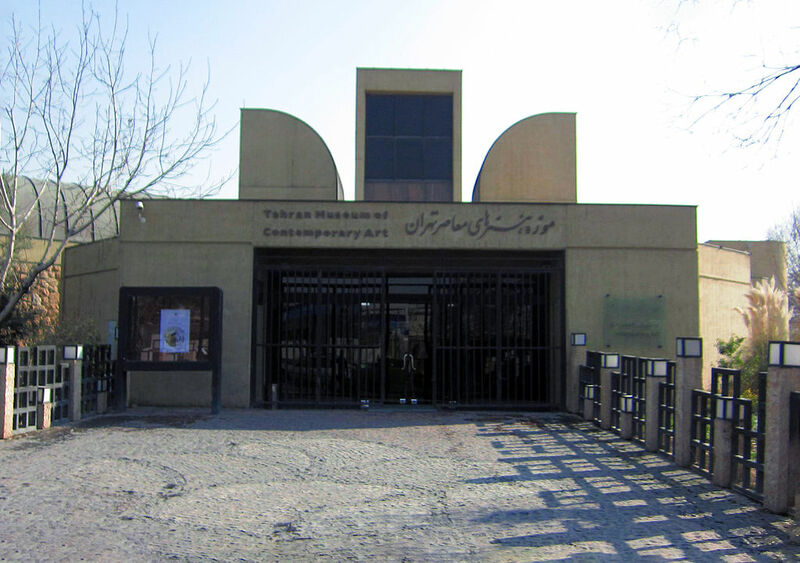 Farah Pahlavi, the former empress of Iran, pushed for the creation of a museum of modern art in Iran in the early 1970s. Curators amassed a huge and rich collection of North American and European masterpieces for TMoCA’s inauguration in 1977, the same year major demonstrations were beginning against Pahlavi’s husband, Mohammad Reza Pahlavi, the last shah of Iran. When the revolution erupted—and the shah and the empress fled Iran—the museum’s holdings were shuttled into its basement, Peter Waldman and Golnar Motevalli reported for Bloomberg Buisnessweek in 2015. The main galleries “reopened as an exhibit hall for revolutionary propaganda,” they wrote. In 1999, Waldman and Motevalli note that the museum held its first post-revolution Western show. In recent years, after international sanctions on Iran were lifted and the country’s chilly relationship with the West has shown signs of a slight thaw, the museum has started putting more of its hidden artworks on display. In 2015, it staged a major exhibition that placed Western and Iranian artists side by side. “The 41 [artworks] we have selected, a lot have not been exhibited since the revolution,” Faryar Javaherian, one of the curators of the exhibition told Steve Inskeep for NPR’s Morning Edition. For the first time ever, the museum made arrangements that year to show its artworks outside of Iran with an exhibition in Berlin. Plans for the show fell through, however, reportedly due to fears that the former shah’s family would try to claim the artworks if they left Iran. ← Publier une photo libre d’accès sans autorisation ? interdit.